of stem cell in mexico have anything yo do with CYTX? Surely has nothing to do with Cytori. There are plenty of Companies treating patients without having done research. Every once in awhile I survey the on-line stem cell clinic landscape and each time I do I come away a bit more puzzled than the last. Way back in 2005 when we began doing this work, there literally was no one else in the United States using stem cells for orthopedic injuries. Back then I envisioned a future rational physician explosion in stem cells, hopefully lead by strong professional societies who would enforce qualifications, certifications, and some sanity. I couldn’t have been more wrong. 1. We have folks in Florida teaching fat stem cell techniques to anyone who will pay them money. The course is taught by someone without an advanced degree and sponsored by a company that has several projects in front of FDA for cellular drugs. The company also performs live demos in the course and treats everything from macular degeneration to ALS to MS, treatments that are breaking the current laws around the production of illegal stem cell drugs. Yikes! 2. 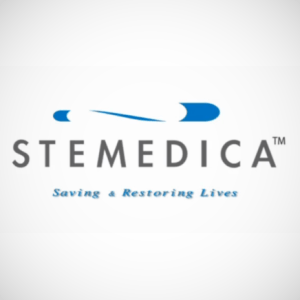 We have doctors in Houston and Arizona using “amniotic stem cell therapy” that contain no live stem cells or any other living stem cell for that matter. The folks in Houston are throwing in bone marrow, without a shred of scientific evidence that the amniotic material they also inject will help the bone marrow stem cells. This seems to be what I have called an “Insta-tute”. Here you can get all sorts of surgeries that have recently been shown to be ineffective without stem cells, but through the magic of stem cells these surgeries become effective? 3. We have guys in California using fat stem cells claiming to be performing IRB approved, patient self-funded, scientific studies and to the lay reader, you would be 100% convinced that they are involved in intense science. To anyone who knows a bit more, the studies are simply a marketing tactic. They could say that they’re just tracking treated patients in a registry, but somehow the guise of a scientific study seems sexier? I saw where it was a san diego co.
Yes- and they do have some science too...which I admit was not aware of, since I have not followed the story and the Company.. I hope some of the patients undergoing ATHX therapy are having like results!